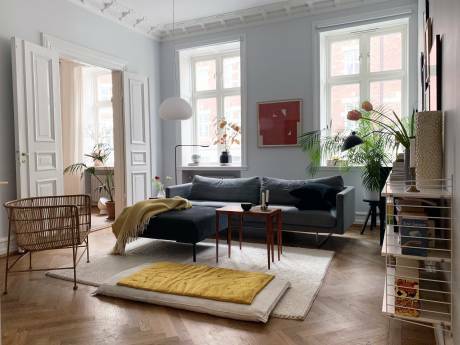 Wonderful apartment in central Malmo, walk the city, easy access to Copenhagen and Stockholm. We have a comfortable 3 bedroom apartment in central Malmo (124sqm), by the side of Gustav Adolfs Torg, and right on the walking street. Large living/dining room, adequate kitchen and bathroom, extra toilet. 2 double bedrooms, 1 kids bedroom with a bunk bed, elevator to 8th floor. Beautiful leafy view over a small park and canal, and a balcony with plants and herb garden facing the canal and main walking street. We have included computer, wifi/internet, tv, hi-fi etc. 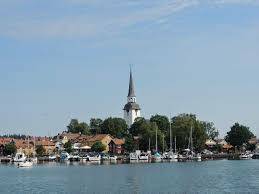 The city of Malmo is easily covered on foot or by bicycle (we have 2 to loan), including old town, beautiful parks, shopping, castle, and the wonderful new modern eco village of Vestra Hamnen and Turning Torso building. It's a short (8 minute) walk to the central train station - with modern Scandinavian (on time!) trains that will take you anywhere in Sweden or Denmark. Copenhagen is a short 35 minute train ride over the Oresund Bridge, and Stockholm just 4.5 hours by fast train. A great place to base a spring, summer or autumn holiday where you can really relax and do nothing, or do a lot. It's your choice. We are a couple of mixed nationality - Andrew is from Australia, but has been living in Scandinavia for 10 years, and Tanya is from Crimea in the south of the Ukraine. We have 2 kids - 6 and 3 y.o. We're open minded about the world and love to travel and meet interesting people. We are both professionally employed. We speak English, Swedish, Danish, Russian and Ukrainian and have friends from all over the world. We are family with 2 young kids. I work as HR professional and Andrew runs his own business. We love traveling, hiking, diving, good food and good company.